In this review article, we are going to help you choose the best playpen for your guinea pig. Guinea pigs are great fun and they make great pets as long as you provide them with the best guinea pig cage, food and a playpen to explore their surroundings and stretch their tiny legs regularly. To keep your cavies happy and healthy, we do recommend buying a guinea pig playpen which will fit your living space or garden and meet the play and exercise needs of your piggy. Let’s consider the reasons why you should get a playpen and also the basic facts you should know and the features to look for. Do I need a playpen for my guinea pig? Guinea pig playpens are handy enclosures where your little piggy can run around and get the much-needed exercise. You can use pet playpens in your apartment or house as well as in the garden so that your piggy can get some fresh air. Just to avoid confusion, the playpens for indoor use are called – playpens. The ones used outdoor are called – runs. Well, yes! In order to keep your guinea pig healthy, it is important to provide them with a larger place where they can run and play. That will make them not just healthy but happy as well. Quality playpens will keep your piggies active, which helps to prevent disorders like obesity and related illnesses like diabetes. Apart from exercising, outdoor runs will also allow your guinea pig access to your lawn for a tasty nibble of grass. Indoor guinea pig playpens are perfect for letting your cavies run around and exercise without damaging any furniture in the home, knocking over stuff or getting lost or stuck in the places where you can’t reach them. The best guinea pig playpens for the home are perfect for the times when you are busy with household chores or work on your laptop. When you cannot watch over your cavy who needs regular exercise but you also don't want your piggy to get fat or bored, a good playpen will save the day. Indoor playpens are usually open from the top, so they are safe for indoor use as long as you don’t have a pet cat or dog. In that case, you need a pen with a closed top. Indoor pens are usually made of plastic or PVC mesh but there are also sturdy metal pens. The plastic playpens are cheaper, lightweight and portable. They are, however, easier to knock over so be careful and pass this on to your kids. Outdoor playpens are usually fully enclosed in order to protect your guinea pig from predators and escaping, of course. These pens are a safe way for your piggy to enjoy the fresh air and get some exercise and enjoy their regular play time. Guinea pig outdoor runs allow your cavy a chance to catch some sun but we recommend that you keep the playpen in the shade and check up on your pet regularly while they are outside. What features of guinea pig playpens should you look for? Ideal playpens for guinea pigs should provide a safe environment for your cavy to play and exercise. It’s always good if a playpen consists of several detachable panels which are easy to fold and store away. The best guinea pig playpens fold flat for easy storage when you’re not using them. Some playpens allow for the side panels to be arranged into different shapes and size, based on the number of your piggies and the space you have available. A door on the front panel is always super convenient and so is the top access if you need to protect your piggy from another pet like a cat or a dog. A fully enclosed playpen can be used indoors or in the garden where the enclosure will protect your cavy from the predators outside. A metal wire cage is a great option as it’s the sturdiest and will last a long time. These also provide better protection from other pets or yard animals. However, the soft but durable mesh is also a solid and affordable choice. These playpens are e simple to put up and take down. You usually have to unfold it and use a few hooks to keep the sections together. They are also easy to store away. 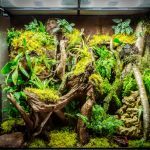 Add a few toys and hiding boxes and tunnels and your piggy will consider its playpen his second home and you will enjoy the company of a healthy and happy pet! ToysOpoly Large 45” Premium Indoor/Outdoor Pet Playpen is a sturdy and strong playpen. It can withstand serious wear and tear and you can easily set it up and fold it back into the case in no time. You can even hose it regularly to keep it clean for your piggy. This 45-inch diameter playpen from ToysOpoly has a similar, proven design that you’ll often see with the best playpens for your guinea pig. It comes in different colors including yellow, blue, maroon, black, and pink. It features a durable construction that will last a long time. It’s also resistant to scratching and other wear and tear which are usual when using or handling playpens. Apart from the convenient zip closures for the roof and floor which are easily removable, the playpen itself is also really easy to set up without any hassle. You’ll appreciate its portability and overall durability, and your piggy will love the new enclosure for safe exercise and enjoyable play time. For convenient washing, the bottom panel is zipped so you can take it off and wash it as often as you want. In addition, this playpen from ToysOpoly is made of water-resistant materials which certainly helps if you have it set up outside for your cavy to get some play time and exercise in the fresh air. For outdoor use, there are 4 stainless steel anchors included in the set. You can use them to secure the playpen to the ground. Its durable waterproof 600D oxford cloth material is easy to clean and the mesh on all sides allow for excellent airflow and visibility. At this price, this playpen is a no-brainer! Tespo Pet Playpen Fence for guinea pigs, rabbits, and other small animals, is sturdy, convenient and portable. It’s made of a carefully selected metal material which is durable, washable, and environmentally friendly. When not in use, this unit can be stored and transported easily. With 1.8 square inches holes, this is a perfect unit for guinea pigs and other small pets. Since the manufacturer advertises it for rabbits as well, do make sure that your pet stays inside. Some will hop over easily. As for the guinea pigs, it’s perfect. More than enough play space, sturdy built and wide-open so you can keep an eye on your pet the whole time he’s exercising. 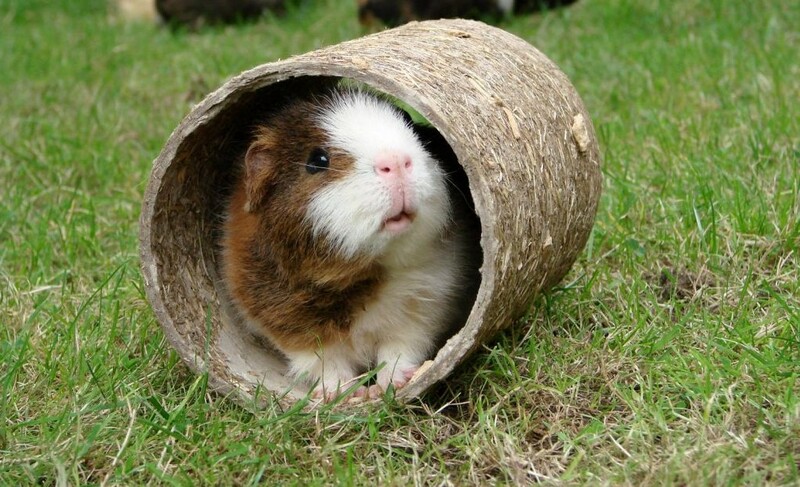 Put inside some toys and tunnels and your cavy will have loads of fun. This wire cage comes with an open top, and it collapses conveniently when not in use. With its quick DIY assembly, you are able to provide your piggy with a safe playground in minutes. For more piggies, this playpen from Tespo is customizable and expandable to accommodate quite a few of the little rascals. The interlocking panels allow for multiple combinations as regards the playpen shape: it can be made into a 3*3 square, a 2*4 rectangle, or any shape you like. This is a huge plus since you have the option to adjust the playpen to your living space. West Homes for Pets Small Animal Pen provides 9 square feet of play and exercise space, which is enough for most small pets to keep active and healthy. It’s perfect for indoor use as well as outdoor. However, it doesn't come with the roof so keep an open eye on your piggies if you plan to use the enclosure outside. This unit comes with 8 ground anchors which are useful for outdoor use while the thumb snaps make it very quick and easy to assemble. Since this playpen comes in two different sizes, the option with the height of 15″ and width of 6 x 19″, it can easily be used to for a range of different small pets like guinea pigs and gerbils without worrying if they will be able to jump out of the pen. Just make sure you get the right size. The design itself provides superb airflow and excellent visibility. 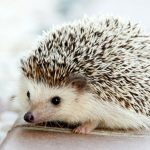 Your piggies or other small pets will have a clear view of the surroundings and you’ll be able to check up on them without interrupting your housework or TV time. Since Midwest is a trusted manufacturer with a wide a range of high-quality pet products, this foldable metal playpen is another quality unit at an affordable price and of great quality. Overall, the construction quality is solid and the pen should last for a long time. It also comes with a one-year manufacturer’s warranty for your peace of mind. Pets Portable Foldable Playpen With 600D Oxford Cloth For Guinea Pigs from Machao is made of open mesh material which provides your pet with excellent visibility and airflow at all times. At the same time, the mesh will keep the bugs and other insects out of the playpen. The two-door design allows easy access to your guinea pig. The doors can be easily zipped up when needed, which is perfect for bringing your piggies along to outings. The playpen itself is made using durable, waterproof, and heavy duty material. At the same time, the unit is light-weight for portability but durable enough to keep your pets safe and comfy in their new play area. To provide even more fun for your pet, we suggest that you put in a few toys suitable for guinea pigs and some hiding areas such as tunnels or simple cardboard boxes for some private time and rest. You can take your new pet’s playpen outside and the piggy will be protected by the roof which comes with this unit. Watching over your furry friend is still recommended. Overall, a really good price for this durable and cute playpen from Machao. TRIPREL INC. Medium 2-Door Guinea Pig Pet Playpen is a portable and well-built unit. It comes with a lightweight metalic frame and durable 600D Oxford cloth which features interior waterproof design. The large diameter 8 panels allow for easy pop-up and, for added convenience, there are two roll-up and zipped doors. Your piggy will be absolutely safe and able to enjoy its play time in a pleasant environment. The Oxford cloth mesh provides excellent airflow and a 360° view so that your guinea pig can see the immediate environment and you will be able to check up on your pet at all times without getting up from your desk or sofa. The detachable mesh cover is easy to take off, wash and put back on in no time. There is also a detachable waterproof bottom easy to remove and clean as well. The attached band for fixing the water bottle is a nice touch and a useful extra. In addition, there are convenient side pockets for extra storage of toys, treats, and other bits and pieces. If you want to take the cavy outside, the four metal hooks will hold the playpen securely onto the ground but since this model doesn’t come with the roof, you’ll have to watch for any predators in your yard. For outings, there is a carrying case included in the purchase. Overall, this affordable and good-quality guinea pig playpen from Triprel is a great option for your precious piggy!